We've started a podcast!!! Introducing Ciao! with Rebecca Romani. 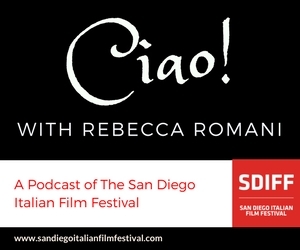 In this episode, Rebecca looks at the film Fuocoammare. Her guest, Clarissa Clo is an Italian Studies professor at San Diego State University who also specializes in migratory studies. We hope you enjoy this inaugural episode of Ciao!